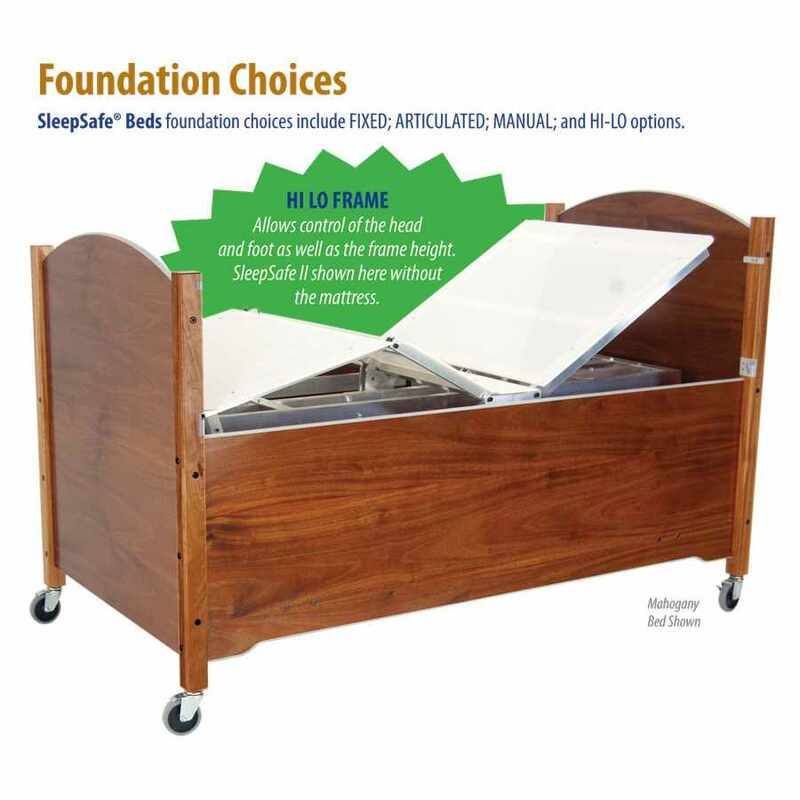 SleepSafe semi-electric low bed foundation allows user to raise and lower the head and/or knee section of the bed electrically with a remote. 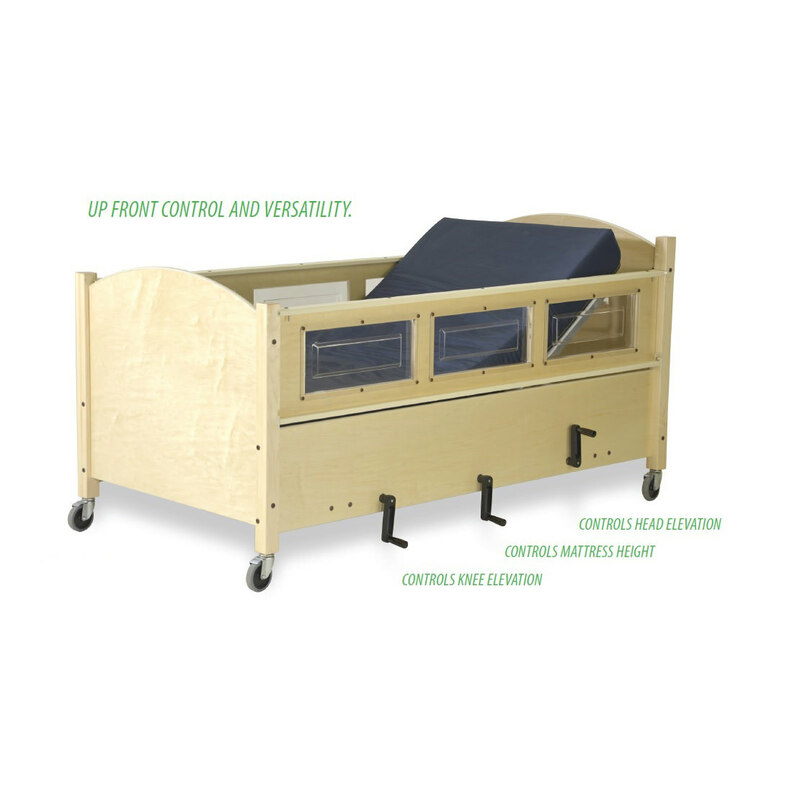 The raising and lowering of the mattress are controlled by a manual crank located in the front of the bed. 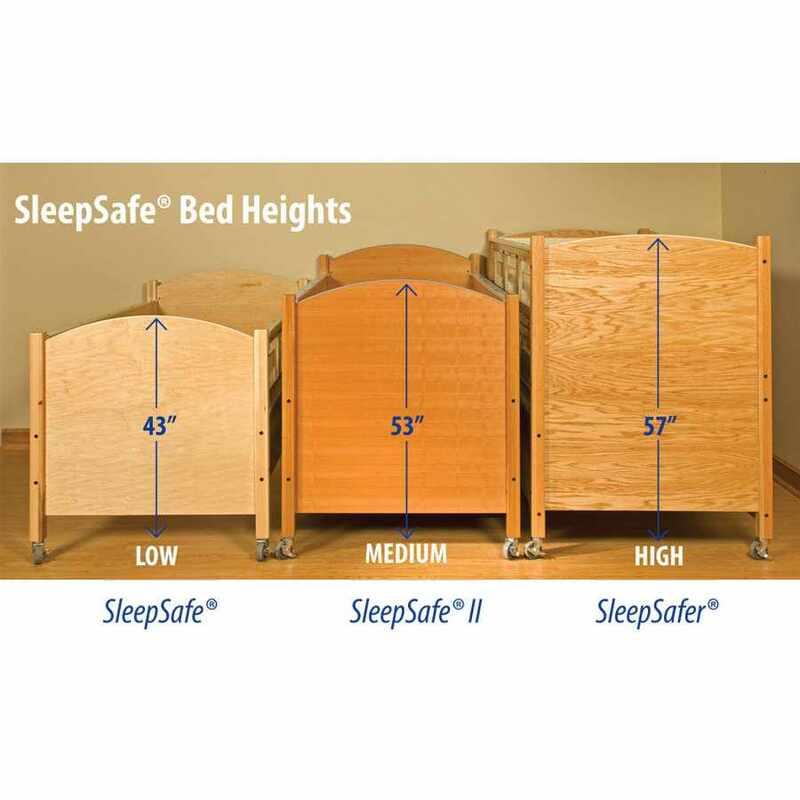 SleepSafe beds mattress support surfaces provides optimized pressure redistribution, rapid heat dissipation, and increases in breathability compared to standard foam. SleepSafe bed mattress has memory foam infused with gel polymers is designed for user comfort as well as clinical superiority. 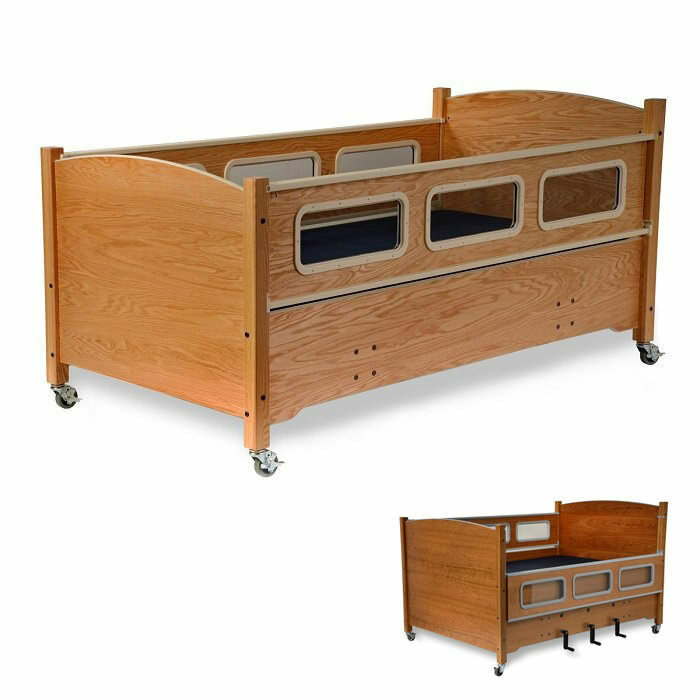 The space between the side rails, head and foot boards and the mattress is nearly nonexistent – even with mattress compression. 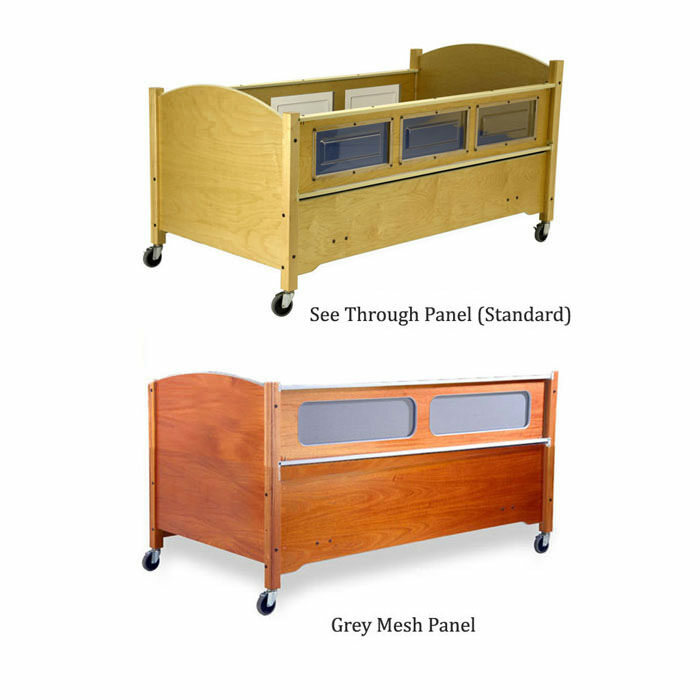 Sleepsafe beds meets or exceeds the FDA guidelines on entrapment and falls. 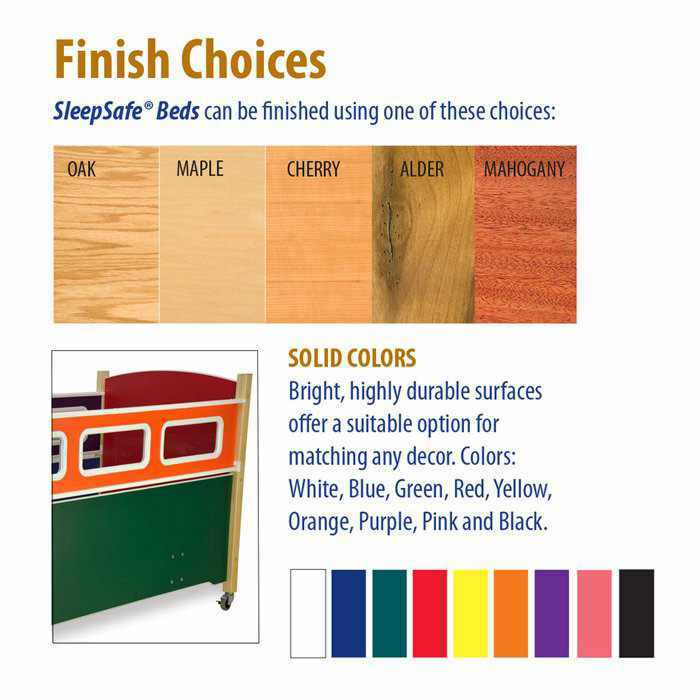 QUEEN offers a standard queen bed size. Mattress size is 60? by 77?. Fixed Foundation with Box Spring (Choice of settings) 12¾" or 10¾"
Fixed Foundation with Bunkie Board (Choice of settings) 18½" or 16½"
Articulating Foundation (Choice of settings) 14" or 11½"
Fixed Foundation with Box Spring (Choice of settings) 23" or 25"
Fixed Foundation with Bunkie Board (Choice of settings) 17' or 19"
Manual HI-LO Foundation LO 23¼" to HI 34¾"
Articulated Foundation (Choice of settings) 21¾" or 24¼"
Electric HI-LO Foundation - (LO to HI Settings) LO 22¾" to HI 38¾"
Distance from the top of the rail to the floor. 35¾"
(below the safety rail) to the floor. 20½"